The overall goal of this project is to provide a thorough and fine-grained characterization of disturbances of the minimal or basic self in patients suffering from schizophrenia. Furthermore, the data from experiments in a cohort of patients will be used to model their behavior in humanoid robots with the ultimate aim to extract general principles of the construction of an active self. Schizophrenia represents a severe mental disorder, in which self-disturbances are reported as an incapacity to pre-conceptually grasp the meaning of the world and a loss of ‘common sense’. Patients report a long-time persisting identity void and feeling of self-transformation. Symptoms include disturbed stream of consciousness, self-awareness, corporeality, demarcation, and existential reorientation, all of which are interrelated. They can be assessed in great detail using the “Examination of Anomalous Self-Experience” (EASE) instrument (Parnas et al., 2005), a semi-structured clinical interview focusing on the experiential and phenomenological anomalies of schizophrenia spectrum disorders. From a computational perspective, disturbances of the self in schizophrenia such as disturbed sense of agency (SoA) or sense of ownership are described in terms of false active inference. Patients show reduced precision in sensorimotor predictions which may lead to sensory attenuation deficits, abnormal eye movements and altered awareness of own actions and body. Dimensions of self-disturbance will be assessed in terms of neurocognitive mechanisms linked to the scales of the EASE. We will use experimental tasks that directly correspond to the subscales of the EASE interview investigating self-awareness, bodily experiences and demarcation (self-other distinction) in patients with first-episode schizophrenia (ICD-10: F20.0) and healthy controls. Structural equation models will be used to empirically test the relationships between the different subscales of the EASE with neurocognitive testing data. Second, we will use data from a novel visuomotor paradigm investigating anomalies in SoA in schizophrenia to model the patient’s behavior in a humanoid robot. The pattern of disturbed behavior in the task will be compared to different computational models implemented into an embodied agent, in order to create a lesion model of disrupted SoA. 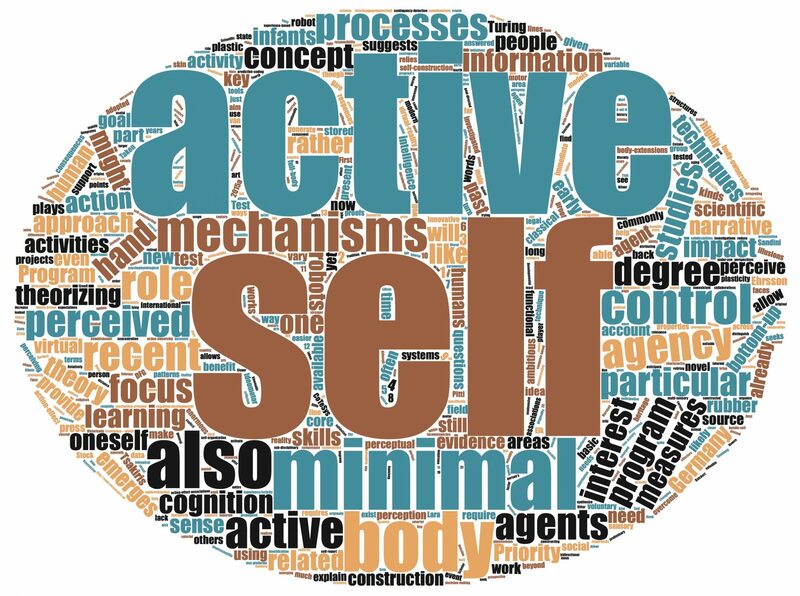 Our project will investigate how internal constraints on the active self in schizophrenia affect sensorimotor behavior and cognitive processes. The implementation of a disturbed sense of self within a robot presents a worldwide unique approach. This “lesion model” of self-disturbances will broaden our understanding of mechanisms underlying the development of a self. Ultimately, our results will advance the understanding of schizophrenia as a disorder of the basic sense of self and promote the development of new therapies focusing on the reconstitution of the active self.